The last weekend of May is big for the small town of Ferrara in northern Italy. 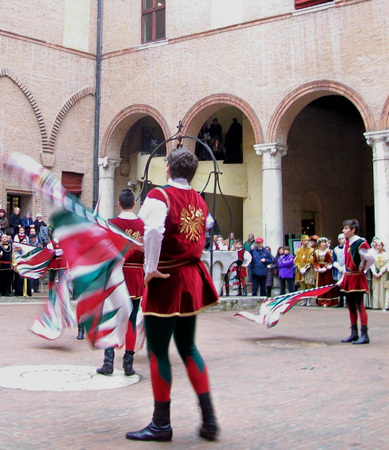 The Il Palio di Ferrara consumes the residents with gala flag throwing, dancing, music, dames, knights, and sleek Arabian horses. Celebrated since 1279, to be exact, the townspeople show their true team spirit by taking part in the myriad of events. Majestic processions, games and competition are the order of the day. 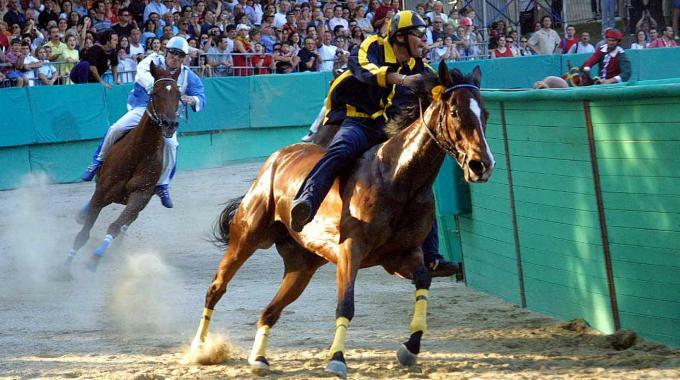 The fast-action Palio races are the culminating event on the last day, held in Piazze Ariostea. Mud and dirt fling across the track as horse and rider fearlessly pound the turf. What attracts me to small towns in Italy is the spirit of pride harbored by the people. Traditions and customs from ages past remain imbedded deeply in their culture, respected and loved through re-enactments of annual festivals. I love the marching, the colorful costumes and banners, hats with plumes and dancers tossing their contrade flags. 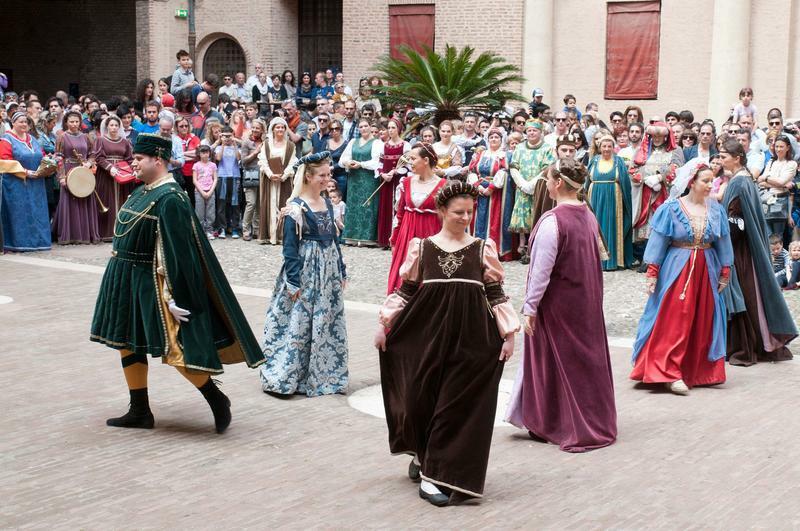 The town’s participants don costumes from the Renaissance era. They are a proud people. What is a Palio? Most people think it is a horse race, but the palio is actually a banner or cloth cherished by the winner of a competition. They keep this banner until the next years race, where it is relinquished to the new champion. Like Siena’s seventeen contrade, or neighborhoods, Ferrara has eight districts that compete in the races, all with a true spirit of camaraderie. Ferrara, in the Emilia-Romagna Region, is noted for its exquisitely maintained Renaissance buildings. 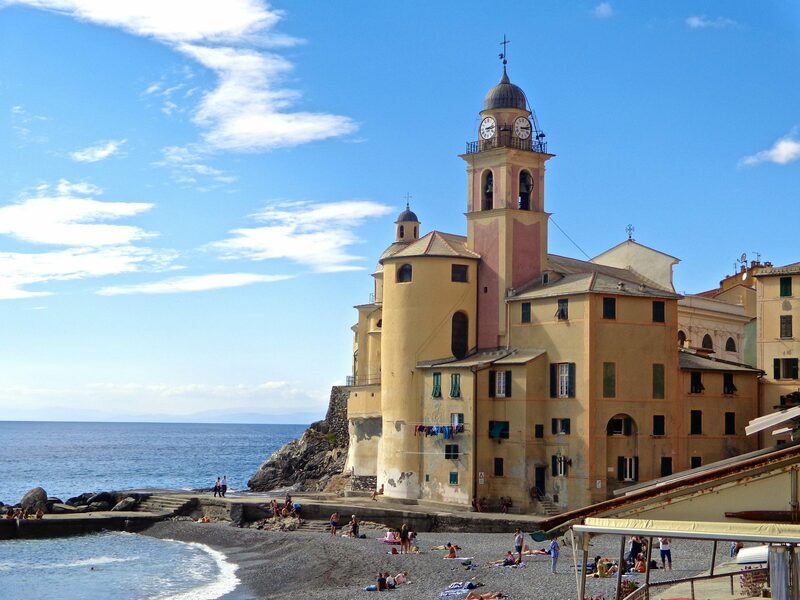 Many of the Renaissance artists were either born here or lived here for some time. The town is completely surrounded by a medieval wall that is 9 km long and has stood the test of time very well. In fact, like Lucca, there is a pathway all along the top that is perfect for walking or bicycling. Being the home of a famous university, students and bicycles are everywhere. Go follow their bliss and rent a bike at the train station. Every region in Italy has several Palio’s happening throughout the year. So what makes Ferrara special? For one, their palio is said to be the oldest one in Italy. 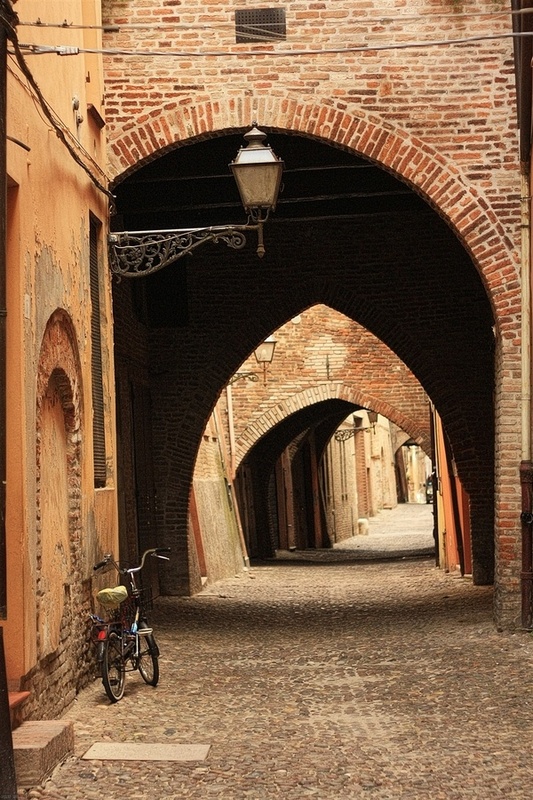 For another, Ferrara is simply delightful to hang out in. With medieval walls to bicycle on top of, fantastic Renaissance architecture to walk through and admire, and artwork by famous artists to gaze upon, how can you lose? Oh I had no idea about this Susan..Thanks for taking me to the Palio and Ferrara. I am so glad to learn about the Ferrara Palio! I was familiar with the one in Siena, but not this one. My paternal family name is Ferrara, and while we have been very close, we have not yet visited there. Thank you for this lovely information. Hoping to be there for the next Palio! My pleasure….I was surprised to find it as well. I assumed Siena had the only Palio. And to find that Ferrara’s Palio is the oldest one. I’m so glad you liked the article….this is my reward! What a fun time to visit Ferrara. I’ll be in the Emilia-Romagna region in a couple of weeks and I think that Ferrara is on the itinerary — I hope so! Interesting post. Thank you, Catherine! I hope you do go the Ferrara. Have a wonderful time.